The theme will be ‘The Beatitudes’. 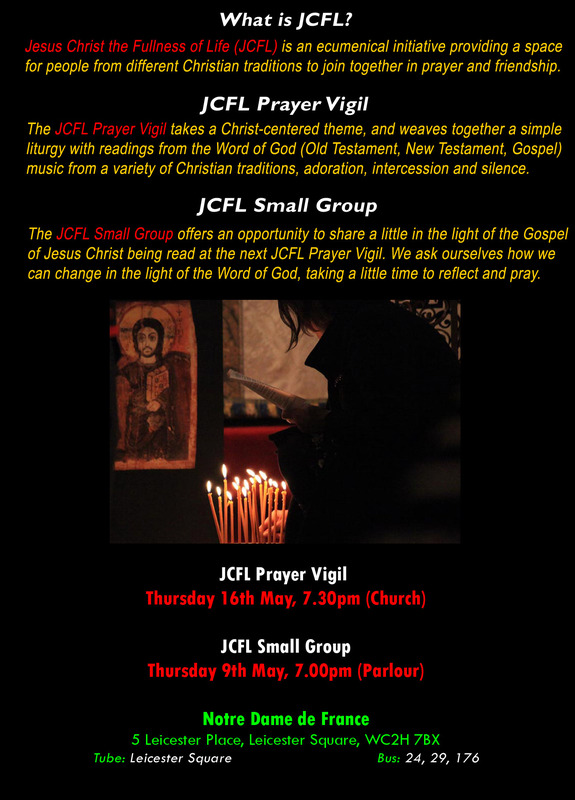 The JCFL Prayer Vigil offers an encounter with the Lord, taking a Christ-centered theme and weaving together a simple liturgy with readings from Sacred Scripture, Music, a Reflection on the Word, Prayer and Silence. All are welcome! After the JCFL Prayer Vigil we usually head to a local pub providing a little time for food, drink and friendship. All are welcome to join us in the Church for the JCFL Song Practice at 6.30pm. 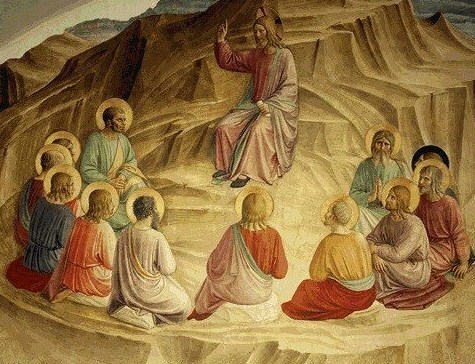 This offers the opportunity for all to learn the songs and chants before the evening’s liturgy. If you would like to play a musical instrument at the JCFL Prayer Vigil please just email Peter & the JCFL team at info@jcfl.org.uk as we are always looking for ways to allow gifted musicians to place their talents at the service of the Lord at JCFL! Hope to see you on 3rd November & God bless!